RLM Homes presents a NE detached model home in the Retreat at Rivers Edge. 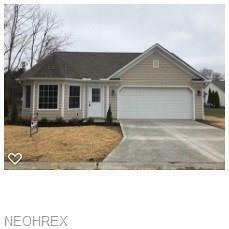 Ranch condo with 2 bedrooms, a beautiful Great Room with crafted ceiling, fireplace and 2 sliding doors to large patio. 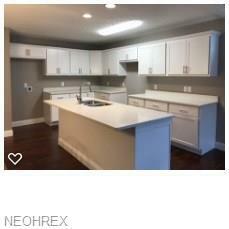 The kitchen has lovely white cabinets with quartz counter tops and walk-in pantry. 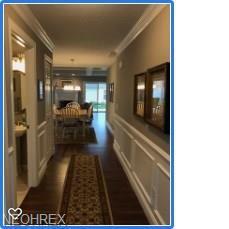 The white trim and molding plus wood laminate floors in the entry, kitchen & great room add beautiful touches. The condo has a large master suite with walk in closet, bath & shower. Also a large laundry room has more space for storage. The condo can be duplicated on several lots in Rivers Edge. The retreat offers 3 bedrooms and Cape Cod plans to be built. 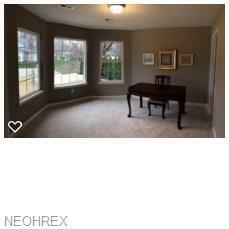 Basement condo can also be built.